At its core, DIA Servicing is a third-party residential mortgage servicer providing lenders and borrowers a streamlined system of monthly mortgage payment processing and escrow management. While DIA Servicing is not the only third-party servicer in the market, our integrated suite of solutions has proven to be one of our biggest competitive advantages. 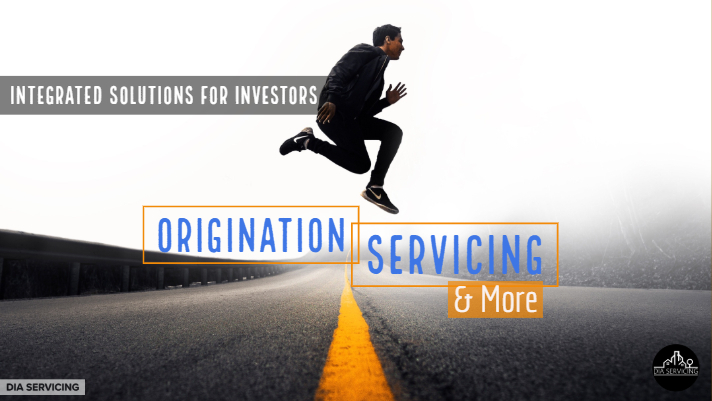 DIA’s owners envisioned a ‘one-stop-shop’ conglomerate of companies offering a variety of services at lenders’ disposal, i.e., loan origination, title, servicing, and beyond. With this vision, our owners formed our sister company, DIA Financial, to offer “RMLO” services for the ever-important loan origination phase (Dodd Frank, anyone? ), and our affiliated fee office provides title services/insurance through some of the most reputable underwriters. Beyond that, we are affiliated with multiple real estate attorneys/law firms who center their attention and practices around residential real estate in the state of Texas. By the time a loan lands at DIA Servicing, the borrower and lender have already worked with realtors, loan originators, and escrow officers. The entire process can be quite tedious, and oftentimes confusion as to the post-closing process is prevalent in owner-finance borrowers. Additionally, closings and first payments may be delayed due to confusion amongst the various service providers (who all play an important role in the process). By offering a suite of solutions, we have been able to eliminate these problems–by the time a borrower gets to the finish line, they are familiar with our team and take on their first payment with a comfort level and familiarity not offered by all servicers. Lenders also reap the benefits and are able to rest easy knowing our team has covered its bases and has done everything necessary to protect the lender’s investment. For more information, contact us today at 972.408.3522 or submit an inquiry under the “Contact” tab at the top of this page!